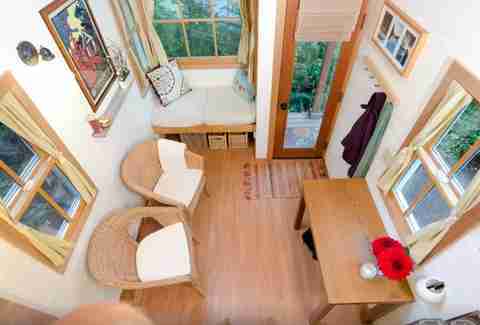 Tiny homes are all the rage these days, so it makes perfect sense that tiny homes people list on Airbnb are also quite popular. 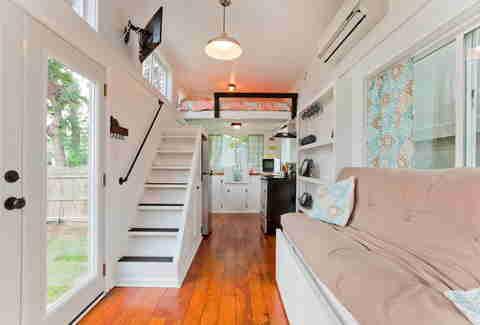 That's why we compiled this rundown of the coolest pint-sized places you can rent in the US. 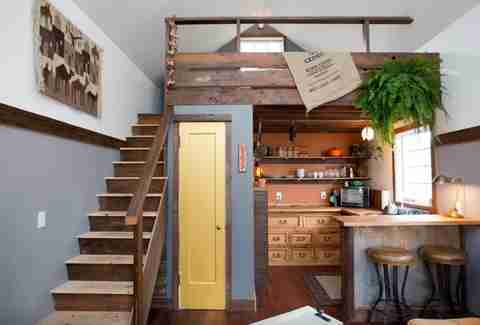 Just 350sqft, this wee house was built entirely from reclaimed materials as a DIY project (oh, Portland). Featured on the show Tiny House Nation, it's located within walking distance of all the bakeries, bars, coffee shops, and yoga studios in the the N Williams Ave neighborhood, and the street it's on was even featured on Portlandia, of course. Located between the Magnolia and Queen Anne sections of town, this cozy little hand-built wagon with stained-glass windows is made entirely of birch, Douglas fir, and cedar. It's run by a seemingly nice family who are extremely accommodating and have chickens on their land. Also, this is the last summer you can stay there, so get those reservations booked! 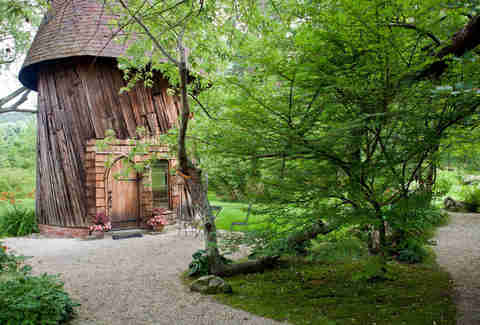 Formerly a sculptor's summer studio, this picturesque cottage on the Santarella Estate in the Berkshires of Western Massachusetts is surrounded by gardens and beautiful architecture, and guarantees a quiet, removed getaway close to the Appalachian Trail. Also, there are nearby ponds for swimming or kayaking. 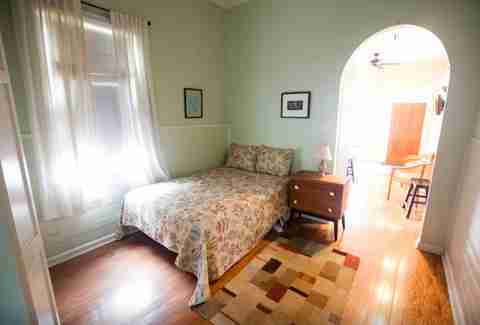 It's a 200sqft guesthouse with two queen-sized lofts, Wi-Fi, a smart TV, and a full kitchen. You're not roughing it here. Not to mention, it's two miles north of Downtown Broadway, perfect for exploring our No. 1 city to spend the weekend, Nashville. 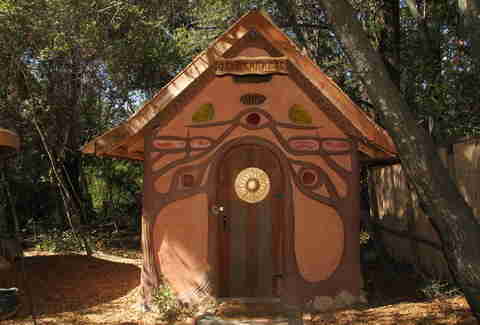 This "earthen" replication of a gingerbread house is located at the Isis Oasis RetreatCenter, an UBER NEW-AGE HIPPIE (possibly cult-run... you tell us) California animal sanctuary and temple NOT associated with Middle Eastern terrorists. 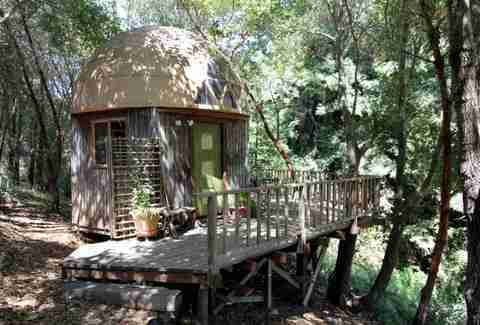 Surrounded by trees, your inedible little home-away-from-home has access to a pool, sauna, and hot tub. Also, again, there are exotic animals roaming about. 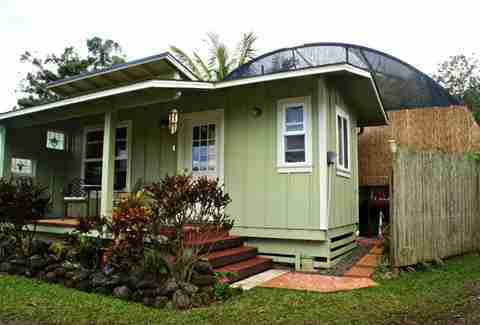 What you get: Private studio with ocean views (accommodates two); one bedroom; one bathroom. Located on two acres on Maui's north shore, this studio space has access to all the tangerines, avocados, starfruit, and bananas you can eat -- right outside your door! It's only five minutes from the ocean at Ho'okipa Beach Park -- so the boogie boards and surfboards they provide will come in handy -- and there are also hiking trails and waterfalls nearby. When you're exhausted from all the outdoor activity, there's a sauna and massage therapist on the property. Plus, again, starfruit. 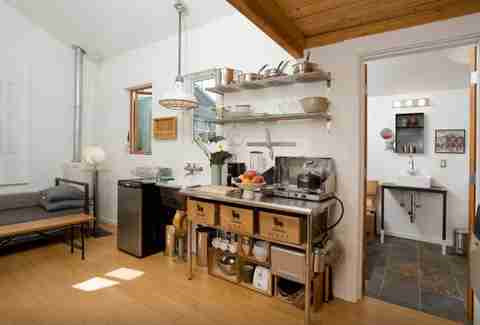 Custom designed by an artist, welder, and designer, this little home only six-or-so miles outside Downtown Seattle has, according to the listing, been featured in many a magazine and the New York Times. So there. 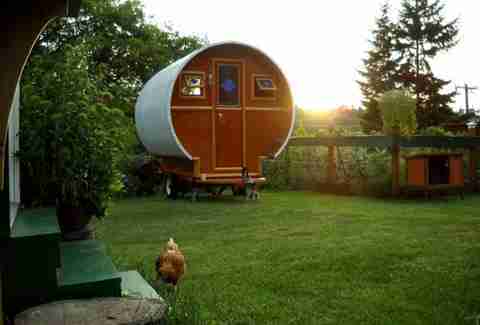 Despite being only 285sqft in size, it rocks a soaking tub and wood-burning stove. 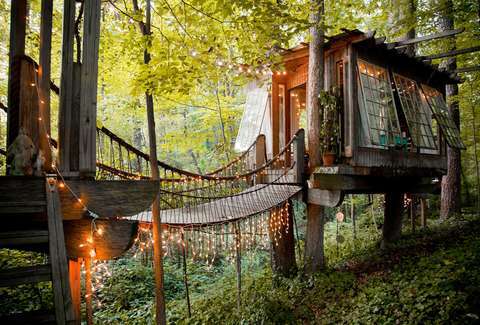 Located in the heart of the ATL, this (official) treehouse -- which has made the rounds on TV and in magazines -- actually boasts three separate rooms: a bedroom, which sleeps two; a living room with antique furnishings and a balcony overlooking the woods; and the deck surrounding the "Old Man," a 150-year-old southern shortleaf pine tree, one of seven supporting the structure. Not only is the shape of this place distinct, but so is the entire experience. You're on 10 acres of wooded land and the hosts have a developing "permaculture farmette" where you can pet goats, look at chickens, and play with miniature dogs. Again, miniature dogs! If for some reason you can't reserve the space, there's a Hummingbird Haven apartment located nearby where, as the name might suggest, hundreds of birds sit outside your window. Nestled between fruit trees on the bay, this cozy home is a short trail walk to a private beach where you can stare across the water at the Olympic Mountains. Or at night, "stargaze through the loft skylight!" 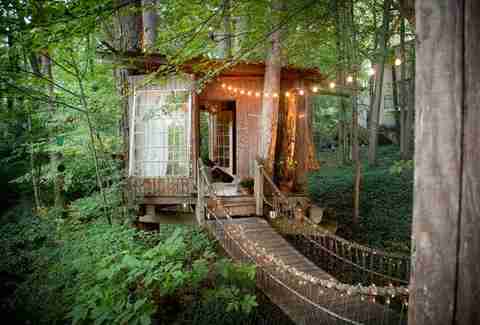 If you want off the grid, this is your move. Although, naturally, you will be roughing it here. Located in the Six Rivers National Forest, this hand-built A-frame cabin offers just enough space to sleep on a double mattress. The listing describes it as well insulated (no heat available), while also stating that there are many blankets available. 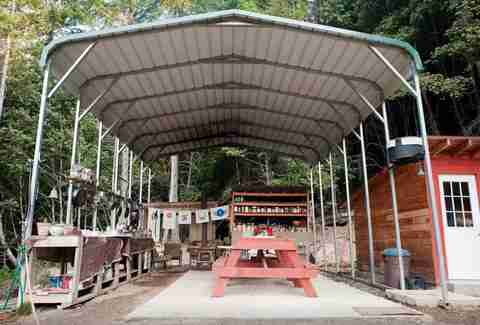 Part of a permaculture-focused ecovillage, there is a shared outdoor kitchen with a small propane stove and plenty of pots and pans. By definition, a shotgun home is no more than 12ft wide, and at 400sqft total, this one fits the bill nicely. But again, don't let the size fool you -- the amenities (see: central air, Jacuzzi tub, rain shower head, flat-screen TV, and private backyard area) are pretty plush. It's two blocks from Magazine St, which has coffee shops, restaurants, and all kinds of fun places to shop.